Being the proud father of two beautiful and amazing children, I know firsthand what it is like to want the best for your children. I know what it is like as a parent to want to give your children the best possible advantage in life. But few realize that some of the biggest advantages that we can give, or get, in life begin long before birth, with the thyroid health of the mother. While many of the health risks associated with hypothyroidism during pregnancy are well known, yet rarely discussed, studies are now showing that these same health risks are just as common among women with subclinical hypothyroidism, who present no signs or symptoms and therefore are never properly tested or treated. It’s a shame that we can spend $125 billion dollars a year treating cancer alone, yet we completely ignore such a simple issue that could potentially help cut future cancer rates significantly. There is no arguing that our health in general has been declining rapidly for many generations now. Diseases, including cancer and Type 2 diabetes, that were once limited to only the adult population are now becoming more and more common in younger and younger children. If you understand the fact that “it takes life (a.k.a. energy) to give life (a.k.a. energy)” then you can understand that a newborn child can only be as healthy as the parents that brought the child to life. If we have any chance at putting an end to this negative health trend then we have to start by giving our children the best possible health advantage that we can, which starts during pregnancy and before. There have been a number of studies showing the increased health risk factors associated with hypothyroidism during pregnancy. Unfortunately, there has been little done to study the long term effects of maternal hypothyroidism on the future health of the child. But knowing that low birth weight is a common risk factor; we can gain a little more insight into the long term effects by simply looking at the future health risks associated with low birth weight. Granted, hypothyroidism is not the only cause of low birth weight, but simply understanding that thyroid function plays a crucial role in growth and development, it should make sense that poor thyroid function is definitely an issue, regardless of the cause. Hopefully this opens your eyes to the fact that the health and thyroid function of your mother had a huge impact on your health today. And it helps to explain how declining health is passed from generation to generation. Even if you had no signs or symptoms of hypothyroidism during pregnancy, a more recent study demonstrated how millions of women are unknowingly hypothyroid and carry almost all of the same pregnancy risk factors. 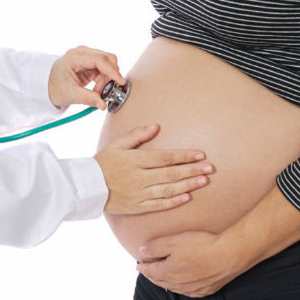 A recent study looking into the effects of subclinical hypothyroidism during pregnancy revealed some striking results. 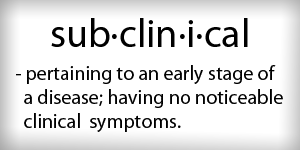 These subclinical cases showed no signs or symptoms of hypothyroidism even though testing showed otherwise. I have talked in great detail about how hypothyroidism is grossly undiagnosed and this study more than proves this. Of all the women studied, just over 10 percent were diagnosed with overt hypothyroidism where they showed obvious signs and symptoms. Even this is more than twice what the medical community claims. 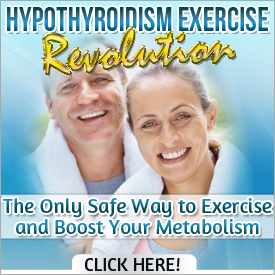 What’s more striking is that 40% of the women were hypothyroid with no signs or symptoms. This is a major problem since doctors only test for hypothyroidism when there are obvious signs and symptoms, meaning that they are unknowingly missing 40% of hypothyroidism that requires proper treatment. I’m starting to feel like a broken record when I say this. This shows the obvious need for better testing and screening for hypothyroidism, especially early in pregnancy. Thyroid Testing During Pregnancy – Too Little, Too Late? The author of the above study is using this research to push for routine hypothyroidism screening for pregnant women. Is this a step in the right direction? Of course it is. But ideally, we should be diagnosing and treating hypothyroidism well before pregnancy. The focus should be on prevention which should start much earlier in life. Children today DO deserve the best possible advantages in life which is why proper screening for children is an absolute must. Plus it doesn’t have to cost anyone a penny. It’s well known that blood tests for hypothyroidism are not cutting it today. Simply monitoring temperature and pulse is a free and far more effective screening. Imagine that, improving health and saving lives while lowering the cost of healthcare. So Tom, with proper support of thyroid function (T3 & T4 supplements /Armour) is it possible to have a healthy pregnancy? It’s a step in the right direction but as I always say; It doesn’t matter how much thyroid hormone you take, the only thing that matters is whether or not that thyroid hormone is being utilized by your cells. Diet is just as important, if not more. It is a shame that OBs do not know this. I was diagnosed with Hoshimotos and hypothyrodism 6 weeks into a pregnancy, but I think I have always had issues that just never showed up in lab work. My OB promised me that my TSH of 13 was ok as long as we got treatment for me. 3 weeks later our baby died and I miscarried. The OBs swear it was not bc of the thyroid issues. I say how can it not be?? Since then, I have gotten off of synthroid, begun a regume of Naturethroid, and follow your diet. My temps are not quite where they need to be, but they are better. I hope now my body can support a healthy pregnancy. Your thoughts on this Tom?? I’m sorry to hear about your loss. Thyroid, estrogen, progesterone, etc. all play important roles in supporting pregnancy. It’s important to take everything in account but seeing your temperatures increase is definitely a step in the right direction.